Summer keeps on giving and I’m definitely NOT complaining! But what to wear to work on hot and sunny days? Linen is a perfect choice! Linen is a natural fabric, which makes it comfortable to wear on hot summer days. 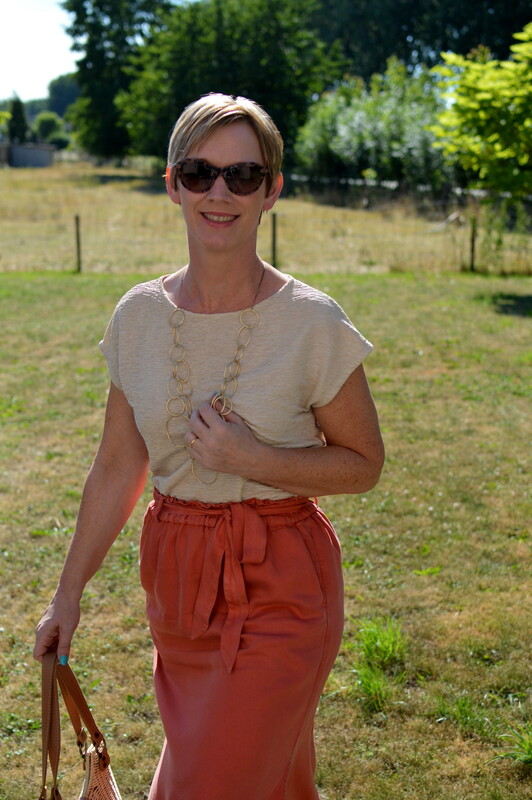 I can honestely tell you that this linen maxiskirt has been my companion on many work days these past couple of weeks. Let me tell you a bit more about this outfit. Linen has the tendency to wrinkle, but the quality of this fabric is of high standard, so I can get through the day in a decent way. 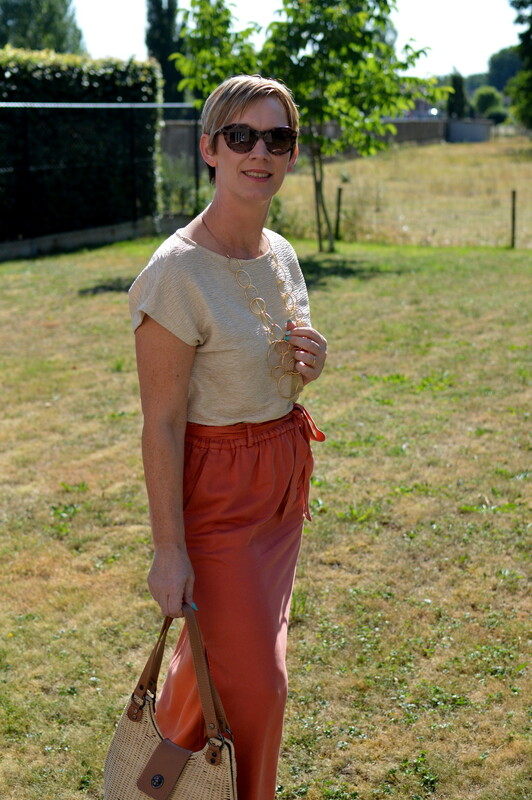 This skirt from Marie Sixtine has this beautiful the terracotta colour, which instantly gives it a summery feel. 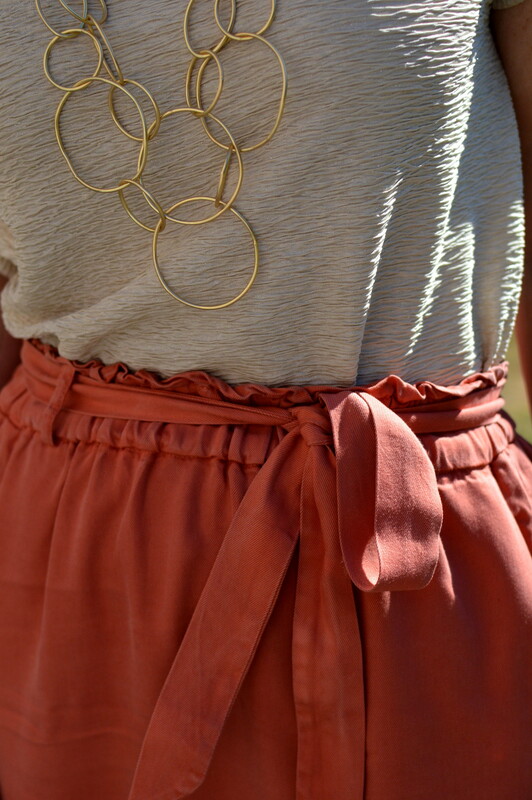 The combinations with this skirt are endless. Today I am wearing it with a golden top from Esprit. I’ve accessorized it with the most fabulous necklace I have ever owned I guess (from Dansk Smykkekunst), my golden block heels from Bruno Premi and my cute bag from Salvador Bachiller. Yip, feeling comfy in this outfit! What do you think of it? Let me know in the comments! Love it! I rarely wear linnen though. I manage to wrinkle the whole thing within minutes! I hesitated buying this skirt to be honest because of it being linen, but the fabric is of thick, good quality so the wrinkling is kept to a minimum!